Handy Axiom: It is easiest to find a death glamorous, not to mention sacred, when you are not the one doing the dying. Bix is a mystery. Bix is “a riddle wrapped in an enigma,” according to the website of the Bix Beiderbecke Memorial Society. And in the smoky shadows of a bar in downtown Bangor, Maine, Bix is a pickup line. This is where, on a particularly cold January evening, I met my future wife. I immediately angled the conversation to music, and when she professed a love for jazz, I smugly tested her on whether she’d heard of Bix Beiderbecke. Choices, of course, can go either way. “What would music be like if he’d lived to be an old white-haired guy like me?” Prebyl asked. Where there’s a question, Wikipedia has an answer. In this case, it’s Alternate History Wiki, which posits that Bix sailed through the Great Depression in Benny Goodman’s band, even blowing a masterful, eight-chorus solo on “Sing Sing Sing” at the famous Carnegie Hall concert in January 1938. Then things got really interesting. In 1943, tired of jazz and the commercial aspects of the music world, Beiderbecke stunned America by announcing his retirement from brass playing and jazz to concentrate on piano and formal music. He moved to New Haven to improve his piano playing and study classical music with Paul Hindemith at Yale, then to California in 1947 to work with Darius Milhaud, then on to Paris for further study. His 7th Symphony, debuted at Carnegie Hall in 1952, was the most acclaimed formal music work by an American performed in that decade. He made only one surprise return to the jazz world, playing on cornet alongside Miles Davis with the Gil Evans Orchestra at the 1959 Newport Jazz Festival, performing music from Bix’s beloved Porgy & Bess. Returning to Paris in 1963, Beiderbecke taught composition, retiring in 1974. He never married. * The occasion for Schjeldahl’s article, by the way, is an exhibit at New York’s Guggenheim called “No Limits, Just Edges: Jackson Pollock Paintings on Paper.” No limits, true, just trees . . . I am reminded that New York was not always so hot for Pollock’s work. How else did his Mural—commissioned for a cocktail party at Peggy Guggenheim’s apartment, it became, according to Leonhard Emmerling, “a turning-point in twentieth-century art”—end up at the University of Iowa? 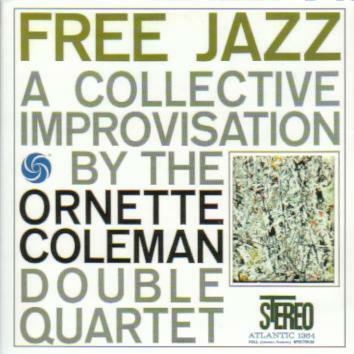 ** Pollock connects to jazz mythically through Bix; he connects directly through Ornette Coleman, who featured “White Light” on one of his album covers.